mango shrikhand recipe with step by step photos. 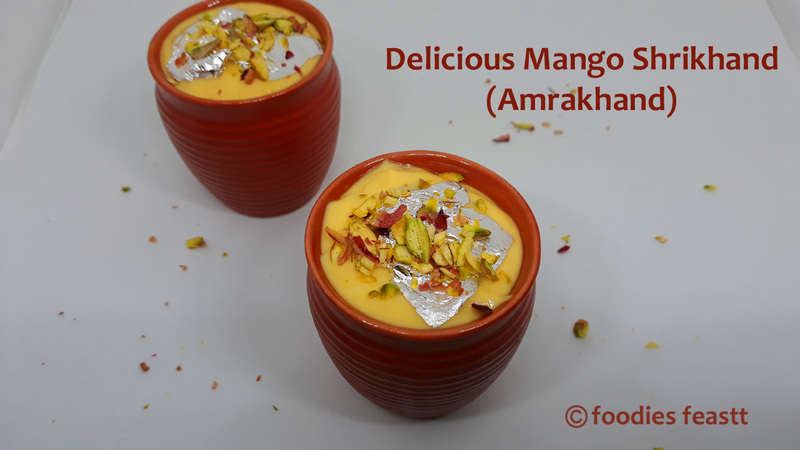 mango shrikhand or amrakhand is a very common yogurt based sweet dish made with ripe mangoes. 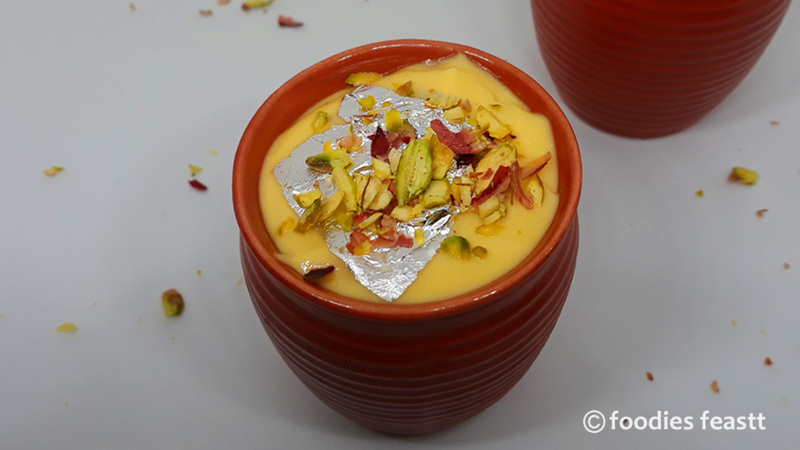 mango shrikhand or amrakhand recipe with step by step photos –shrikhand is a very ordinary yogurt based sweet dish and it tastes lip-smacking. they were sweet enough so I had to add little sugar. 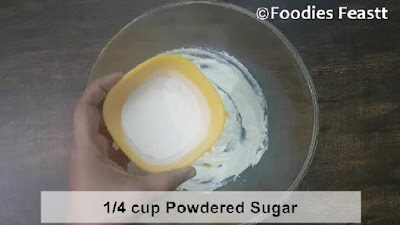 Also you can add cardamom powder for extra flavoring. 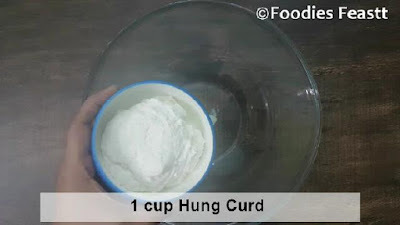 2 cups of plain curd would give you 1 cup of hung curd. 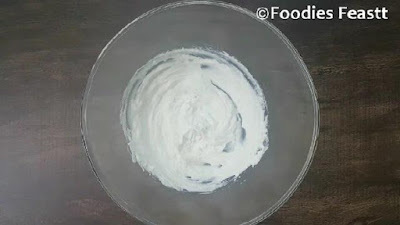 Preparing yogurt – Put a muslin or cheese cloth over a strainer. Pour the yogurt (curd) over muslin cloth. Place a bowl under the strainer to collect the excess water. Next lightly squeeze the excess water from yogurt. Move the yogurt with strainer and bowl into the refrigerator for overnight to drain excess water. Yogurt will become thick in consistency, like a cheese ball. 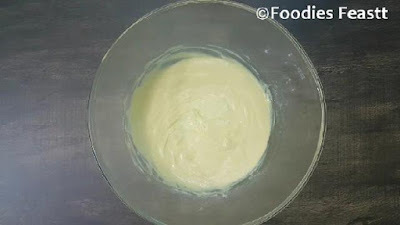 In a bowl take the hung curd and whisk it till it turns smooth. Add mango pulp and sugar to yogurt and mix well till sugar dissolves. 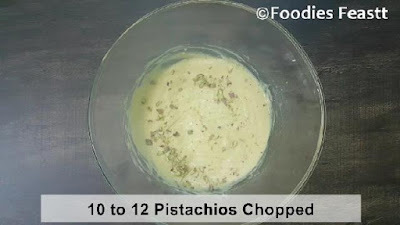 Add in chopped pistachios and mix well. 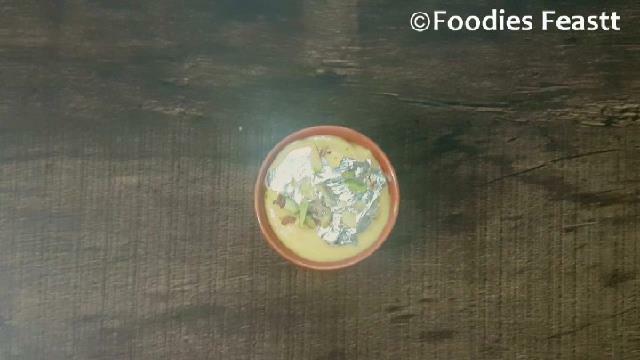 Garnish with silver leaf and pistachios. Add cardamom powder to add extra flavour. 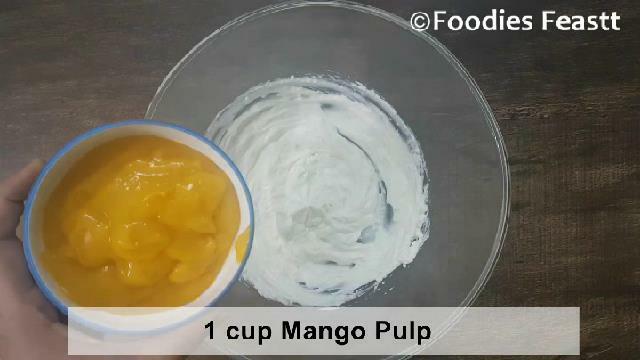 The amount of sugar added depends on the sweetness of the mangoes. Hi, Interesting page. But i want to ask you whether you have 4 wheeler plying in Pune city?The SUV with number 3493 was driving rashly like mad on junction of rangehills road and old bombay poona road. he is going to die and/kill someone if you dont take action.He barged into a bus under the railway overbridge forcing the bus to reverse.